Spectacle lenses made with Sehen 3.0 lens-crafting technology embody the idea of natural, precise and dynamic vision. This latest freeform technology for cutting lenses makes it possible to cut advanced, customized lenses that are accurate to within 1/100 of a diopter of the desired correction. They are thus produced to meet your exact requirements. The field of view of your lenses is maximized by means of surface geometries that are exactly calculated, point by point, and which factor in not only the lens prescription and the frame but also the given anatomical conditions. This enables sharper and more effortless, natural vision. Compared to conventionally fabricated lenses, details are significantly crisper and color reproduction is more vivid. The perfect optical lens is created for you utilizing ultra precise wavefront measurements of your eyes and a professional eyeglass prescription that is never more than ⅛ of a diopter off. Moreover, the optical centers of both lenses are perfectly aligned with the eyes by means of new video measurement technology. Utilizing modern wavefront measurement technology, we are able to detect – in addition to the more standard vision defects such as near or far-sightedness – a number of other optical irregularities of the eyes, which would generally remain undiscovered using conventional measurement techniques. 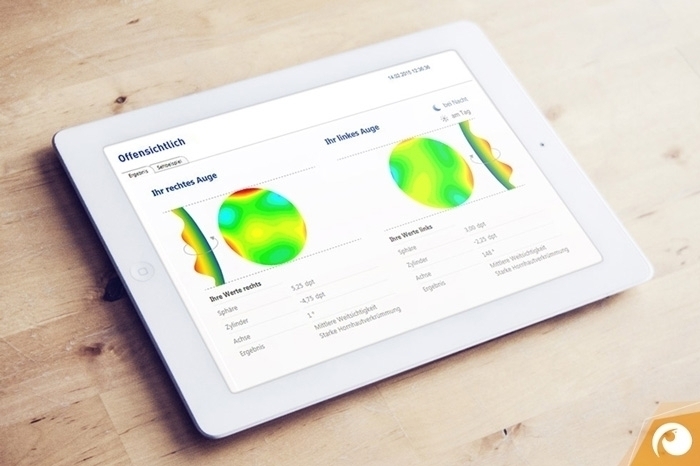 A very individualized profile of your eyes is the basis of the Sehen 3.0 concept. And, in conjunction with the results of our subjective eye exam, it constitutes your visual profile. Your visual profile is as unique as your fingerprint. As part of the eye exam administered, we pay special attention to optimally correcting far and nearsightedness with regard to your spatial vision. Moreover, we take into consideration visual habits and look into the health of your eyes. You find more information on our site professional eye exams. 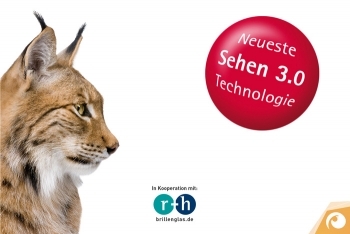 Sehen 3.0 – Ysis Naviso for single vision and progressive lenses. Concealed behind this name is the Germany-based company Rupp & Hubrach, which might well be the most distinctive eyeglass company on the market today. Both single vision and progressive lenses are “Made in Germany” – in the city of Bamberg – based on ultra precise measurement and manufacturing techniques. In addition to all the high-tech equipment involved you – as a customer with specific needs – are an aspect that is just as important as the objective data gathered. We listen to you. And we will optimize your ophthalmic lenses based on what you want, for example, for far away vision or for reading vision. This makes more relaxed up close vision possible even for young people with single vision lenses. Ysis naviso point by point optimized lenses offer highest optical quality and a noticeably enhanced field of vision especially where progressive vision is concerned. Ysis naviso technology demonstrates its full potential also in the case of eyeglass wearers with significant vision defects: Indeed, it enables natural vision by means of an optimized, undistorted field of vision for an especially large viewing area. The highly customized lens also improves contrast and color vision – even in twilight – and reduces bothersome scattered light. 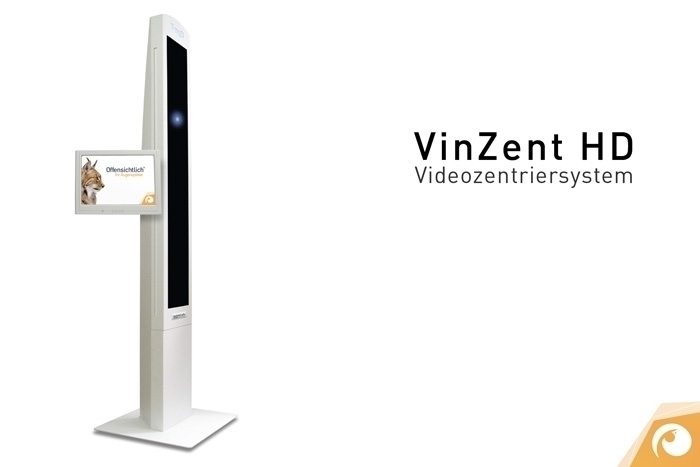 Providing accuracy that is within a tenth of a millimeter, Rupp & Hubrach’s video measurement and centration system, the so-called VinZent HD, measures all the necessary data to ensure a correct eyeglass prescription and the perfect fit of your eyewear. In addition to providing such standard data as the distance between your eyes and your sight height, it also takes into consideration your head and eye movements. In fact, even the tilt of your head while reading is factored in. Furthermore, VinZent HD registers the curvature of your eyeglass frames and the angle of the frame vis-à-vis your eyes. To fit you with advanced single and progressive lenses, VinZent HD also ascertains the exact location of your ocular pivot point, which is crucial for the technical design of customized Rupp & Hubrach eyeglass lenses. We work with Sehen 3.0. Technology.